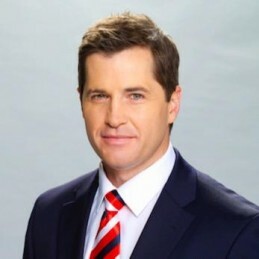 One of the most recognisable faces of the Australian media Ryan Phelan is a highly accomplished television presenter with a wealth of experience. Ryan spent 2007 in the United States as the inaugural presenter of ESPN’s Asia Pacific SportsCenter service. Prior to his posting to the US, Ryan made rapid progress through the ranks at Network 10 to be at the forefront of his industry…. Ryan spent 2007 in the United States as the inaugural presenter of ESPN’s Asia Pacific SportsCenter service. Prior to his posting to the US, Ryan made rapid progress through the ranks at Network 10 to be at the forefront of his industry. In less than 10 years he has gone from volunteering at a community radio station to ESPN, the worldwide leader in sports broadcasting. Along the way Ryan co-hosted a reality television dating program and was identified by Network Ten as a key personality. Ryan’s television career started as a presenter for Sky Racing where he produced, wrote and hosted the award-winning harness racing program, ‘In the Gig’. After three years working at Sky he was offered a reporting job with Sports Tonight and eight months later landed the coveted role of presenter. An outstanding presenter with an enormous future Ryan is a passionate performer who has excelled in his chosen profession. Ryan was also Winner of Cleo Magazine’s 2005 Bachelor of the year Award as voted by the public.